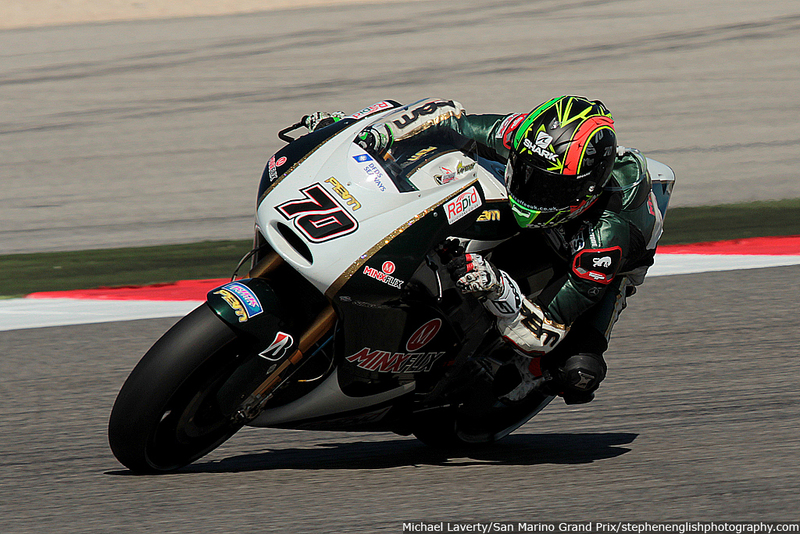 The opening day of running proved to be a struggle for PBM rider Michael Laverty with the Irishman having to deal with “horrendous chatter” throughout the day. 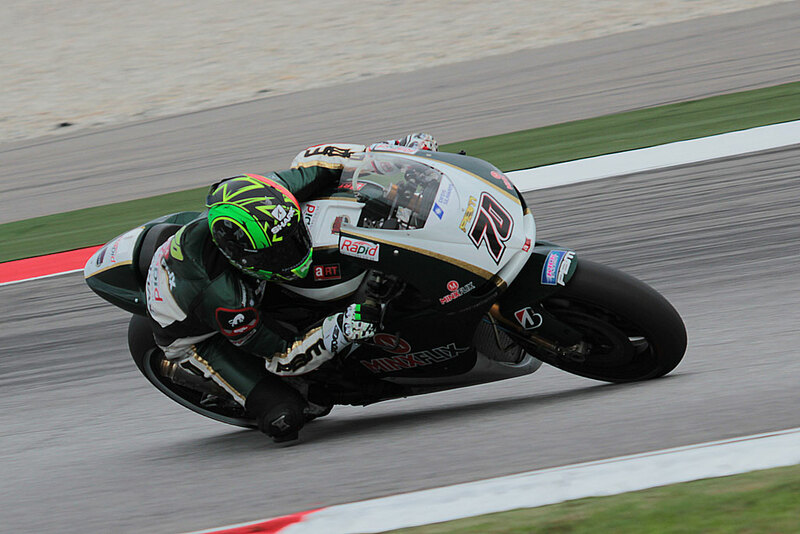 Having switched to the ART chassis prior to the last race at Aragon Laverty has had to adapt his riding style towards the new bike having spent the opening 12 races of the year riding the PBM chassis. 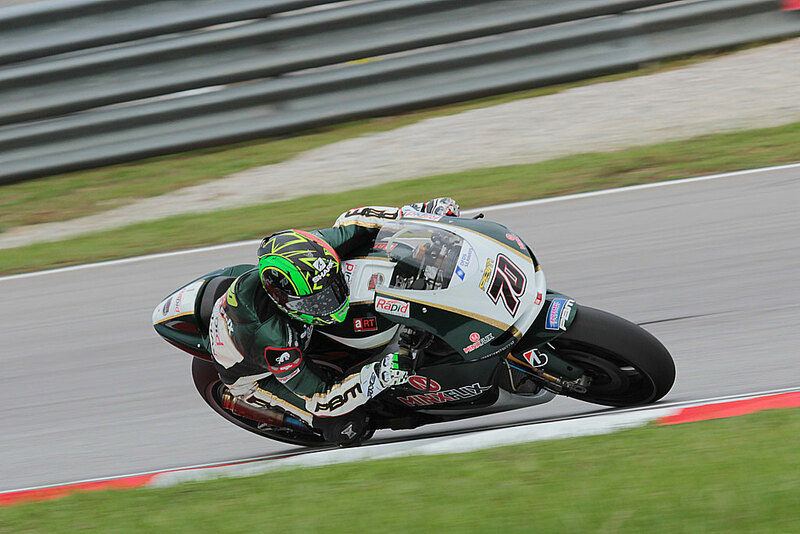 “It hasn’t been a great day in getting a rhythm but the first session went OK,” said Laverty. “In the afternoon we tried some things to improve the chatter and went in the wrong direction. We made the front a bit too high and hard and it chattered even more and was horrendous. At the end we put in a new tyre and the front just wouldn’t grip so I went slower than in the morning session. This entry was posted in MotoGP, News and tagged Formula One, Formula One car, Friday, Grand Prix motorcycle racing, Laverty, Michael Laverty, PBM, Sepang. Bookmark the permalink.